College teaches you a lot of things. You learn a lot in school. You take classes. You earn a degree. However, college can teach you a lot more about life than what you can get from simply going to school. You learn about independence, taking care of yourself, juggling school and work, maintaining a social life and your grades, and what responsibility really means. You learn how to pay bills, how to cook, how to clean, how to prioritize, how to stay on top of your schedule, how to keep yourself out of trouble, and how to stay afloat. One of the most important things you will learn in college is how to handle people in your life, whether that is going out and making new friends since you are making a fresh start out at college, keeping up with the friends there that you have already made, and maintain other friendships you may have already had. You have to learn to let people come in and out of your life as you both try to navigate your lives. You have to learn when to let someone go when they are not a good fit for your life or when they become a negative aspect of your life instead of a positive one. This is especially true for your roommate while in college. 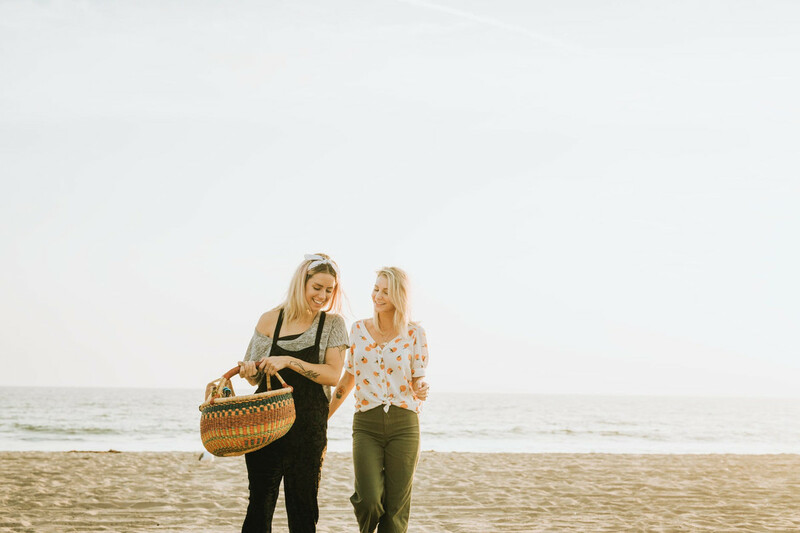 Your relationship with your roommate will be one of the most important relationships you have during your time away at college for a lot of different reasons. Your home is your space to relax and truly be yourself, and a lot of the time, your relationship with your roommate can make or break that. It is hard to come home and feel relaxed if you do not get along with your roommate and so do not feel welcome in the common areas, or if your roommate dominates the living room and never lets you feel like the space is yours too, or if your roommate does not pick up after themselves even when reminded and clutter stresses you out. There are a lot of reasons why a roommate situation can be stressful, whether or not you like the roommate in question as a person. Living situations create very intimate relationships, because your roommate ends up knowing a lot about your life, whether they are actively involved in it or simply live off the periphery. Being a good roommate takes a lot of work, and often, this is asking too much of a busy college student. A lot of the time, roommates are come and go. It takes a special chemistry for roommates to work well together and it happens very rarely. Some students can have a different roommate each year and never find a roommate that is just the right fit. Even if you do not have that right fit roommate (especially if your do not have that roommate), you should definitely keep trying because having the best and right roommate for you will make your life easier, simpler, and much less stressful. So how do you know if your current roommate is the right fit roommate to live with again? And if they are not that right fit roommate, how do you get out of living with them again? 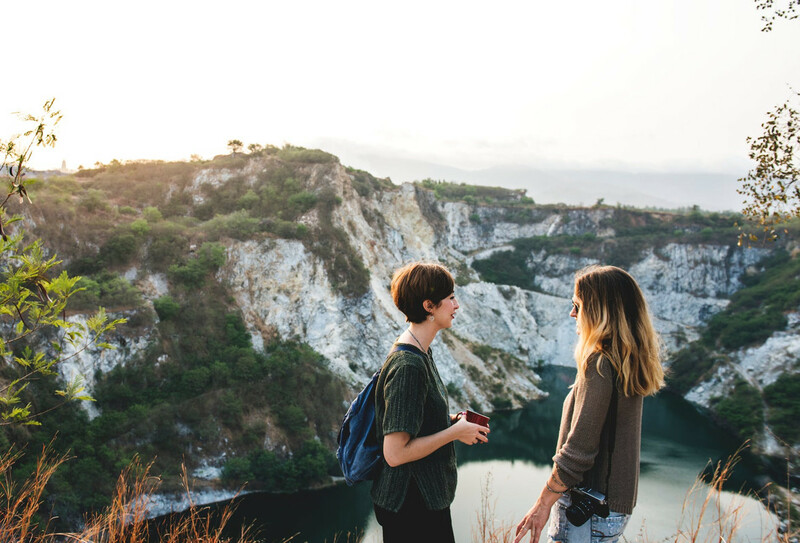 It is not an easy decision to make but you need to decide with enough warning that you and your roommate will be able to make plans for next year without either of you being stranded. And when possible, it is always best not to burn a bridge. You might love a person dearly, but that does not mean that they make the best fit roommate. Read on to learn the steps you can take to decide and gracefully decline living with your current roommate again! The first thing you need to do is to decide what you need in your future living situation. Think about it this way: what changes could you make to the way you are living now that would make you more comfortable and less stressed out in the future? Maybe your apartment is too far from campus, there are no bus stops close enough to your complex, and the commute to campus is too long and full of traffic. Or maybe your apartment is the opposite. It is way too close to campus for comfort. Everyone is partying at your complex and you can’t sleep or get your homework done. You hear all the noise of a football game. Traffic is crazy around your home. Think about the set up of your apartment. Maybe you live in a 2/1 and you are just really done with having to share a bathroom. Being able to have your own bathroom would make your life infinitely better and you think you can afford a 2/2 apartment instead next year. Maybe you actually have several people living in the house and you think you would do better having only one other roommate instead of three. Maybe living without a washing and drying machine in your actual unit was one of the biggest mistakes of your life so far and you never have enough clean clothes. The complex itself could be an issue. The apartments are not in great condition and the staff there does not really do a good job at maintaining it. Management is lazy. There are issues with the plumbing or the air conditioning or the dish washer or the washing and drying machine over and over again that never seem to be fixed. The garbage is always overflowing. Or maybe it is the other way around. Maybe it is too nice. Rent is too expensive for what you are getting and you feel like you could get a better deal living somewhere else. Maye they offer (and you are paying for) too many amenities that you do not use. Do you care if they have a gym? Or a volley ball court? Or a pool? Do any of those things matter to you? Whether you want or do not want those amenities, you should be trying to find a community where you only have to pay for and have access to the ones you actually want. Figuring out what you are looking for (even if you cannot achieve every single line on your list) will help you figure out how to move forward for next year. When you know what is most important to you and what is non-negotiable, you will have an easier time making the next steps. Step 2: Does Your Current Roommate Fit Into Your Plan? Once you have decided what it is you are looking for in regards to your future living arrangements, you must then decide if your current roommate fits into the plan. Sometimes this is a difficult thing to figure out. You cannot read minds, so you do not know if what you are looking for or what your deal breakers are for the next year are compatible or not. Start by remembering things that they have mentioned. Maybe they hate living in this complex and have a lot of issues with it while you love it and want to stay. It could be the opposite. Maybe you hate living there and they love the complex instead. Maybe they are the one who wants a 2/2 when you can only afford a 2/1 living situation. Maybe you want to invite more roommates to join in to cut down on living costs but they are quiet and do not want to add multiple roommates into the mix. If you do not remember them mentioning any of these kinds of things, then now is the time to start listening. Listen when they talk and take note. Maybe they will mention their plans to study abroad next year, which means that they would only be able to lease an apartment for one semester rather than both. Or they will reveal that they are changing their mind about studying abroad. And maybe, if it it is you going off on the adventure, you need to sublet a place for one semester rather than stay in a place with a yearlong lease. Lastly, if you do not hear them talking about these kinds of details, then you need to talk to your roommate and actually ask them what they are looking for themselves in a future living situation. It does not have to be a serious, sit down dialogue that could feel more like an interrogation. But you can casually ask questions and throw them into existing conversations to see how your roommate feels and if you are on the same page with them. Step 3: Do You Even Want to Live With Your Current Roommate Again? At the end of the day, the biggest question you have to ask yourself is if you even want to live with your current roommate again. They could have meet each and every one of your future living arrangement goals—they want to live off campus but near a bus stop, they want to live in a 2/2, they want a washing machine and dryer in the unit. But if you do not like living with them and do not want to live with them again, that trumps everything else. Think back to the question at the top of step 1: does living with your roommate make you more stressed out than living without them would be? Then living with them may not be the best choice. If they are sloppy and never clean, never pay their bills on time, never take out the trash, have their friends over all the time without asking, pry into your life or ignore you, whatever it is that they do that stresses you out, just know that you do not have to live with them again. And it is totally okay and within your rights not to want to live with someone again. Not everyone is compatible in a living situation. You have to put yourself, your health, and your well being first. And if you dread the idea of living with them again, then you know what your answer to this step has to be, even if it makes you nervous. If you have decided not to live with your roommate again the next year, you need to inform them so that they can make other arrangements. This may seem like an awkward conversation to start, but it does not have to be. Remember the first word of this step: “gracefully.” You do not want to be mean or rude about the fact that you do not want to live with your roommate again. You could sit down and have a straightforward conversation about how the living arrangement is not working and why, though this might be stressful an evolve into a confrontation. You could also just let them know that you have begun making plans for next year that do not include them without going too much into the details. You can also point out how some of your needs for the next year’s living situation are not compatible and so it sadly will not work out. Whichever approach you go with, try not to burn your bridge with them. Sometimes, it cannot be helped and some people might not take this kind of news well. But you need to try and be the bigger person and just treat them with respect. Regardless of how breaking the news to your current roommate that they will not be your future roommate goes, just do everything in your power to finish the current lease on good terms. It may not be possible, but just keep your head high and know that you did everything you could to be the best roommate possible. And if nothing else, you learned some valuable lessons about yourself and others that will only make your next attempt at cohabitating go even more smoothly. Follow these steps to help you navigate your future living situation and makes the best decisions possible for yourself so that you can be happy, healthy, and whole while in college!